Nine years ago a small team of people decide to show the advantage of 2D over 3D so they decide to make this game which is about a boy which is an owl and he is mute... Have they succeeded is a topic for a long and slightly meaningless discussion so I will not delve into this, but I will tell you that they have succeeded in crafting a stunningly beautiful game. In the game you take the role of Otus mute owlboy(shocking I know) who is a student of a very strict teacher with low opinion for his student. As an owl your task is to scout the area and keep an eye out for pirates. At the time of the story though there is a troublemaker in town and with your best friend, who is something between raging monster and a coward, Geddy you go after the troublemaker. This leads to pirates managing to descend(Did I not tell you? You live in sky cities! The pirates have airships.) upon your home for which you are blamed. 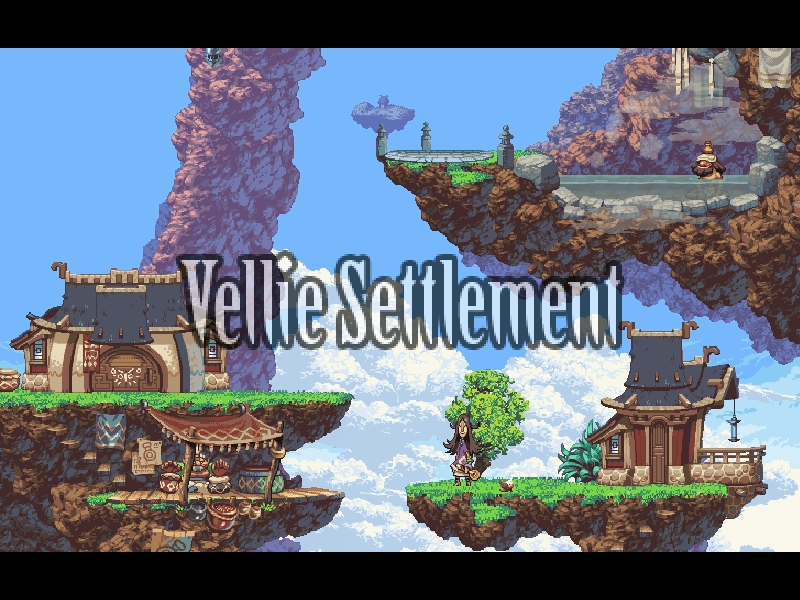 The story continue how you try to stop the pirates, find new friends, solve ancient mysteries and travel to different beautiful places ridden with nasty enemies. The story has at least one decent plot twist if not even two, so it is not there only to fill space, the guys from D-Pad Studio has put genuine effort in it. It has mystery, it has great characters it has twists, it has feelings. What more you need in a story? 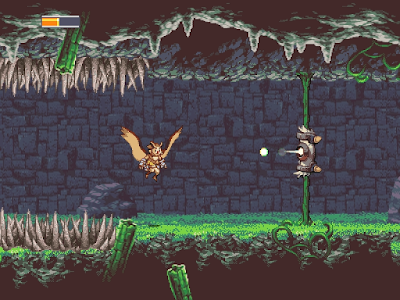 The game itself is a metroidvania platformer, but you will rarely touch the ground and most of the time will fly around(at least I did it this way, it is possible in many places to run and jump around). The other core mechanic is your ability to grab and throw things. Most of the time you will carry one of your friends and use their abilities to fend off nasty critters, but you will also pull out of the ground or pluck from threes fruits to heal yourself. Often you will also carry different objects in order to solve puzzles. You are a "bird" of prey after all. Here is probably the place to say a bit more about the levels of the game. 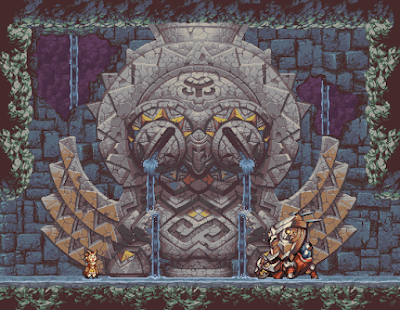 Owlboy is a short game, around 8 hours, but despite that the levels are original, different and each with its own charm and atmosphere. And while its beautiful the rose has thorns. With each level the game will throw at you nastier and nastier things. From almost immortal enemies to birds which will track every movement you make and charge you, to giant earth worms and horrific bosses. Not to mention the environmental obstacles varying from simple things like spikes on the floor and walls trying to smash you and get to things like pitch black tunnels ridden with spikes, traps, enemies and hidden treasures. Before going to the conclusion I want to mention few highly subjective problems I had with the game which made my experience not so enjoyable at times. 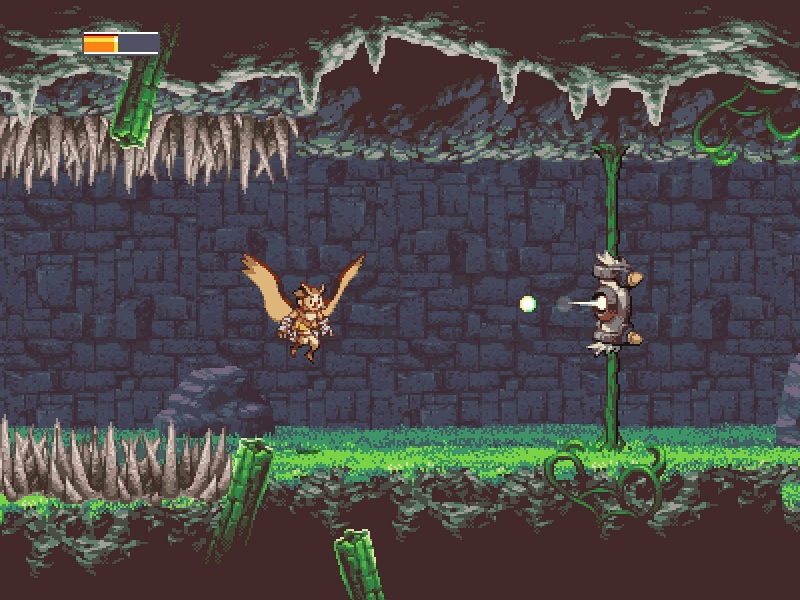 First thing OwlBoy starts very dynamically, quickly kicking you out of the starting area and giving you a chance to show what you have learned. This sadly changes and soon the game becomes a lot slower with a lot more wandering in tunnels and looking for treasures and the right way than shooting at enemies. Its true that when you meet any bad guys they will give you a lot of action but they come in groups and rarely. Second - I hate those dark tunnels. They are horrible and there is way too many of them. Someone has been too proud of his evil invention. The second example is a bolder which was held by some spiderwebs which you need to shoot, releasing the boulder and opening your way. Again the webs did not really looked like something which you can affect. END OF SPOILERS. I understand that they have made this to make the game more challenging, but dying or wasting time, because of these things, was not pleasant for me. And now onward to the Conclusions! 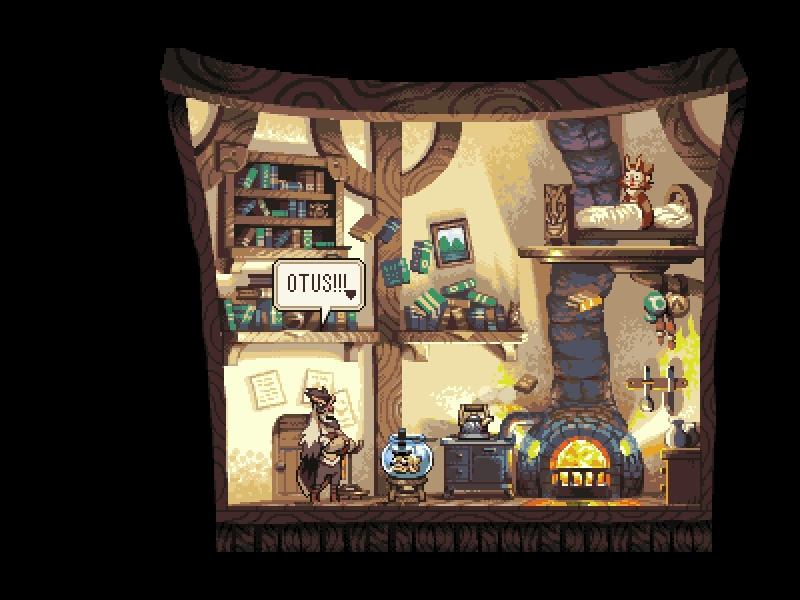 OwlBoy is beautiful, charming game about the little owl Otus and his adventure in the outer world. There he will meet many interesting characters and will have to stop pirates, solve ancient mystery and in the end save the day, despite the mistrust of his tutor. Owlboy is gorgeous and many people compare it to Shovel Knight in matter of graphics and I find this comparison accurate. 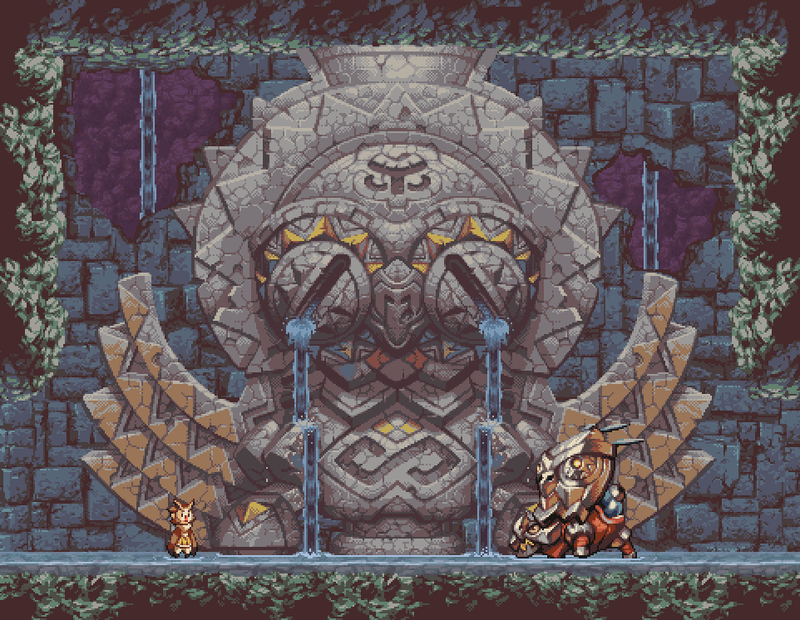 Both games are excellent examples how pixel art should be done. I had few problems with the game like counter intuitive puzzles and sudden drops in the tempo, but despite those issues I am not hesitant to recommend it to you. It is beautiful, it has good story, interesting mechanics, charming characters and a mute main character with ridiculously expressive face. It is a platformer which allows you to fly, but because this will make it easy for you it throws at you challenge after challenge in the form of both puzzles, enemies and bosses. Публикувано от Sharki в 12:27 ч. Tyranny - The Evil has won...or has it?